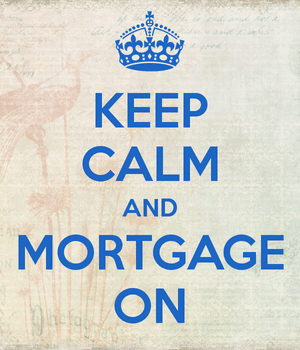 It’s that time again, where we take a hard look at a mortgage program floating around the web. Today, we’ll look at the so-called “Easy Orange” mortgage from ING Direct, a Dutch mortgage lender doing business on our shores (how dare they!). They call “Easy Orange” the “mortgage for savers,” apparently because the associated mortgage rate is priced below comparable loan products. Easy Orange mortgages come in the form of either a 5-year or 10-year fixed rate loan. They’re still based on a 30-year amortization, meaning they’re balloon mortgages, with a final payment due after the five or 10 years are up. That’s right, they’re due after just five or 10 years. The big distinction is that ING offers a “rate renewal feature,” which allows borrowers to relock their rate for another term, for the cost of one mortgage payment (2 biweekly payments). In other words, you may have to pony up the money for the “final payment,” which will likely be huge, or refinance elsewhere, assuming you don’t sell before the relatively short term is up. Oh, and the Easy Orange forces you to make biweekly mortgage payments, though they’re free of charge. So you’ll be making a mortgage payment every two weeks, which is the standard monthly payment cut in half. This makes for 13 full payments a year instead of 12. While the Easy Orange could save you some money in the short term via the lower mortgage rate associated with the loan program, it carries some serious risk if ING doesn’t offer a rate renewal, or if you’re unable to sell or refinance once the term is up. Even if they do offer a rate renewal, it may be significantly higher than your previous rate. They currently offer an interest rate of 2.990% (3.050% APR) on the 5-year product, which may be slightly lower (half point or so) than other adjustable-rate mortgages out there that adjust after five years. But you’re faced with a decision after five years with Easy Orange, while other ARMs allow you to stay with the loan program, just at the fully indexed rate, which could be higher or lower. Easy Orange also requires you to make biweekly mortgage payments, which is great if you want to actually pay off your mortgage early, but somewhat counterintuitive if your loan will be reset every five years. In the end, it may not be worth the risk for the slight reward afforded via the Easy Orange mortgage, but it’s certainly a unique way of going about getting a mortgage.